Price varies from Rs 1.3Lakh to Rs 3Lakh based on the specification of products. - Binocular Tubes : Fixed inclined at 45 degree. 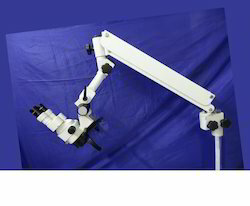 Arm : Counter balanced pantographic arm with 320 degree rotation. Roslane Meditech are eminent Indian Exporters of Ophthalmic Equipments, ENT Equipment, Dental Equipments, Portable Operating Microscopes, Portable Surgical Microscopes, Portable Ophthalmic Microscopes, Portable Dental Microscopes, Portable ENT Microscopes, Plastic Surgery Microscope, Neuro Surgery Microscope etc. 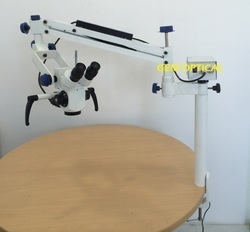 CS-NS Surgical Microscope Mukesh Engineer Company .